Congratulations to the Girls 2003 - Gold team for making yet another championship game at the Charity Cup. Good job ladies! Congratulations to coach Reuben's and coach Adam's 2005 Girls team for taking 2nd place in the Atlante spring season 04/05 championship. Bonita Matrix G2002 Finalist at Nott's Forest Memorial Day Cup 2017 - 2001 Division. Job well Done. Bonita Matrix G2007 Silver Champions at Poway County Shootout 2017. 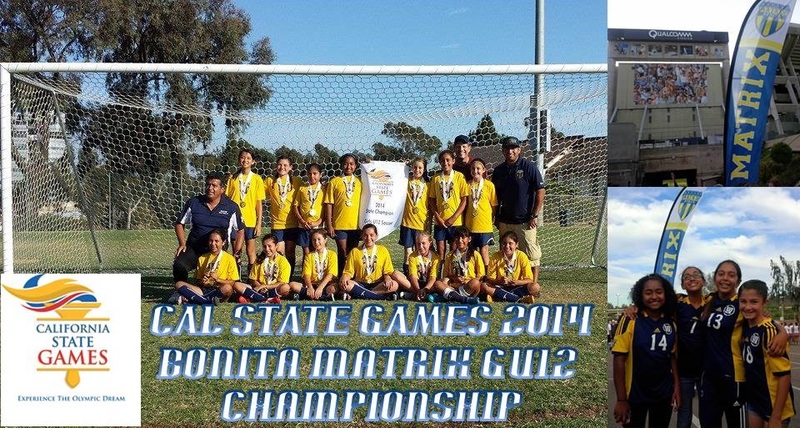 Congrats to Bonita Matrix G2003 Gold - Walters for playing up a year and winning the Memorial Day Super Cup 2002 Division. Charity Cup Finalists. Girls 2003 Gold - Walters. Barca Cantera Copa Del Rey Tournament on May 7-8, 2016. Coach Iribe's BU15 finalists at the Copa de Barca tournament August 22-23, 2015. July 19 & 20, 2014 and finished as Finalists in 2nd place! 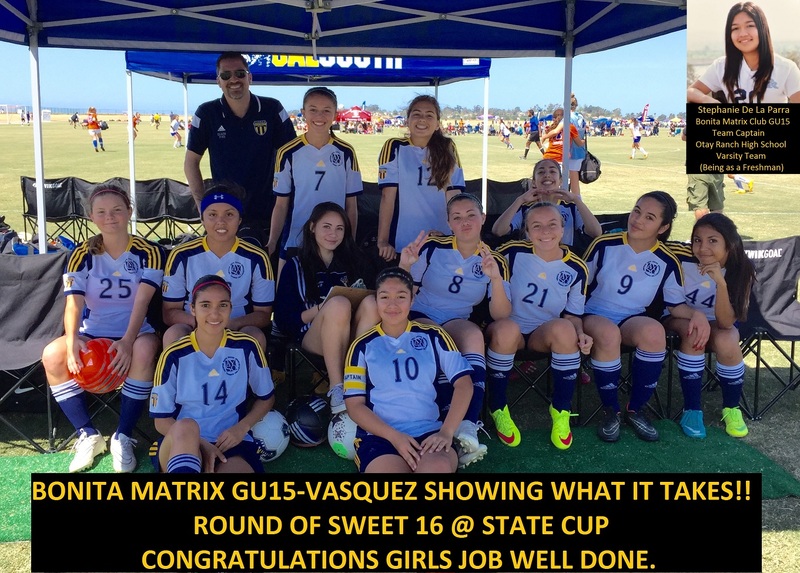 Congratulations to GU12 for reaching the Sweet 16 in the 2014 State Cup!